In a surprise mini patch, GungHo ninja released several new split evolutions for various Godfest Exclusive monsters. This article will help weigh the pros and cons when deciding which path to take. The idea with a split evolution path is to provide players with more options for customization as well as trying to push them more into a “leader” or”sub” role. You should also be aware that some of these evolutions lose their sub attribute. Having a split evolution tree appears to be the norm/trend for Godfest Exclusive cards. For the most part, it is beneficial as you are able to better customize the card to your box needs, but it can also put pressure on players to roll more of what are already the most rare cards in Puzzle and Dragons. However, these new evolutions have breathed new life into the aging Odins while providing Baldin and Balboa more viability so these are positive overall. The Odin are some of the oldest monsters in Puzzle and Dragons that have been receiving numerous small buffs to try and regain their viability. On the other hand, Ilm and Zuoh are two newer Godfest Exclusives who are powerful options for their respective teams due to their full board changers. 15 turn CD Red Odin (Rodin) is considered by many to be a staple sub on push button teams. However, with the introduction of skill inheritance, his dependency is slightly lowered if you are willing to invest in a high skill boost base monster. However, Red Odin performs the job so well and can make farming a breeze. Unfortunately, his uses beyond a farming sub are slim as his active will only be situationally useful to bypass high defence monsters via poison. You can also inherit his skill which does make him one of the few poison cards that can be used as an assistant. In an effort to increase his viability, Red Odin has received various buffs to his leader skill and now provides 2x HP and 3.75x ATK. This is reasonable and can make as a pseudo tank team lead. Unfortunately, his active is relatively weak and would require an inheritance to have more viability. Overall, Red Odin is a luxury card who will not see much use for the average player. Just remember, being able to farm an easy dungeon fast does not increase the drop rates, only the speed in which you can clear (and burn stones). 6 turn CD Blue Odin (Blodin) has outrageously sculpted thighs that are threatening to burst through his skin-tight pants. Looks aside, the magical spear Odin posses an outstanding 894 weighed stats along with a wonderful mix of offensive awakenings to satisfy any mono water team. Granted you rarely wish to mix rows with TPA awakenings and thus he only has six valid awakenings. Unfortunately, he lacks any form of utility and skill bind resistance which could place constraints on team building to help achieve 100% immunity. Blue Odin’s active has undergone numerous micro-buffs with a reduction to 6 turns with latest patch. Unfortunately, the dual enhancement for water and dark goes mostly to waste and only adds additional turns to the cooldown. However, at only 6 turns, you can use Odin as a base for skill inheritance as his awakenings and base stats are quite strong. Furthermore, you should not discredit the healing component tied to his active. At max level and +297, he will restore 13,395 health and has functioned as an emergency heal on my Blue Sonia team. Blue Odin can have an appearance on any mono water team due to his God and Physical typing which includes, but not limited to Blue Sonia, Neptune Dragon , I&I / Ryune , Lakshmi , and Rukia . As stated above, you can use Blue Odin as your base for skill inheritance as he has a low base cooldown along with high stats and 3 skill boost awakenings. Overall, Blue Odin is regaining favour as a 6-star GFE due to numerous active buffs and skill inheritance. Like Blue Odin , Green Odin (Grodin) has been receiving numerous micro-buffs to his active and is finally blessed with a truly powerful bind clear. If full leveled and +297, he will restore just under 14k health along with removing 5 turns of binds. This is quite potent and although you will rarely need to remove 5 turns, it is a helpful option to have available for skill inheritance. The main reason Odin is not selected as a sub on most teams is his lack of offensive awakenings and no SBR or recover bind utility. Thus, his only purpose would be bind clearing which is becoming less important due to unbindable leads. In addition to his active skill receiving improvements, Grodin’s leader skill has also been upgraded to grant up to 3.5x ATK when clearing 4-8 connected wood orbs and an 80% damage reduction shield on the first attack when HP is full. This is not game-breaking, but at least allows for modestly faster clears if tackling a descend with no multi-hit components. His favourite pairing would be Awoken Ama who also has an ATK multiplier in addition to large autohealing component to her leader skill. Overall, Green Odin is still a lacklustre 5-star GFE as the dependency on bind clearing is at an all time low and will most likely be regulated to being an assistant through skill inheritance. 12 turn CD Ilm is essentially a Light/Fire Sonia without an ultimate evolution. This automatically diminishes their value as they only have 6 awakenings (which is low for a 6-star GFE) and I was somewhat surprised to see them in the PCGF. However, it just shows how popular Saria / Thor and Machine Zeus teams are as Ilm can almost always produce 2+ rows through their active. You are of course running the risk of a horrible orb-trolled board which cannot correct via orb changers due to only light and fire orbs being generated. I would prefer to run a tri-colour board changer as you can combo with another sub to pretty much guarantee a burst heavy board. Regardless, you can still effectively utilise Ilm on your mono light row teams and the promise of a future ultimate evolution should address their lack of awakenings. Ilm’s leadership potential is for the most part impractical as a 36x lead is not game breaking considering you have to match two different colours and have no HP or RCV multiplier. However, you can use Ilm as a fantastic Tsubaki sub (if you can find friends who use them) as you generate their two needed colours and can achieve a higher multiplier. Overall, Ilm is a potent mono light sub and their active can be transferred to both fire and light teams. 8 turn CD Zuoh has fantastic artwork that truly captures the demonic beast within. He has a relatively new ultimate evolution that gave him a significant boost to his damage output through an additional row and Dragon Killer awakening. The Dragon Killer is exceptionally valuable in Ultimate Arena when facing the Dark Kali as it helps you push her out of the >65% danger zone. In addition to his offensive capabilities, he has a healthy mix of defensive utility and is a boon to all dark row-based/devil teams. You can find Zuoh making an appearance on Lucifer , Pandora , and Dark Metatron as they all focus on dark rows and Zuoh can be beautifully combo-ed with Akechi , Hanzo , and Pandora to form a 2/3 dark board for explosive damage. The main drawback of using Zuoh as a sub is his 0 base RCV that can place constraints on recovering when stalling. Awoken Pandora teams already have naturally low RCV due to their two leaders and Zuoh can further complicate the problem unless you have heavy plus egg investment. Zuoh can also be used as a leader and form a “Meimei System” by using multiple Awoken Meimeis to continuously chain his leader skill activation. 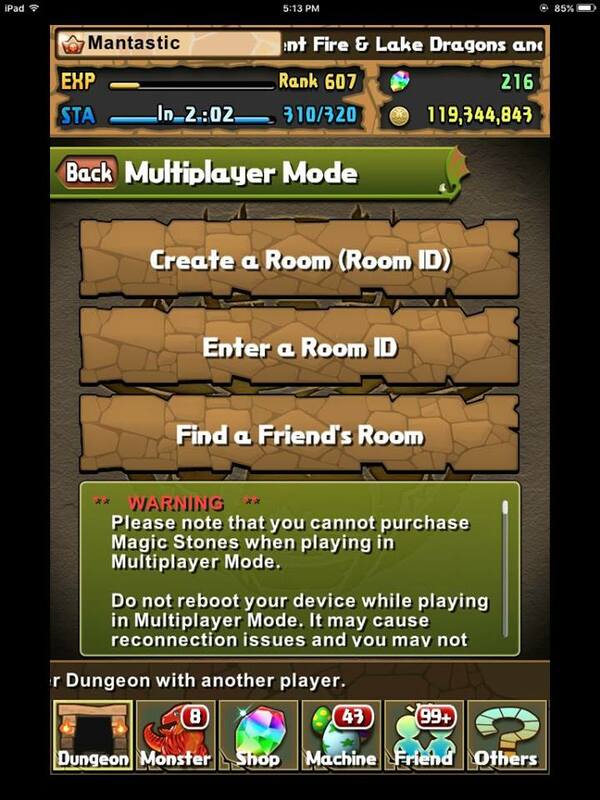 However, the team is fragile as there is no HP or RCV multiplier and you have no defensive utility. Overall, Zuoh is a powerful dark row team sub and his offensive capabilities and his active allows for incredible burst damage when combo-ed with another orb changer. Everyone is +297 and max skilled. One rainbow resist per team. This dungeon was almost made for Blue Sonia as her entire team consists of Dragon / Physical monsters and made it a lot easier to clear as my entire team was benefiting from a 50% increase to all stats. One of the most important aspects of Blue Sonia teams is the ability to heal large amounts of health due to a 6.25x RCV multiplier. 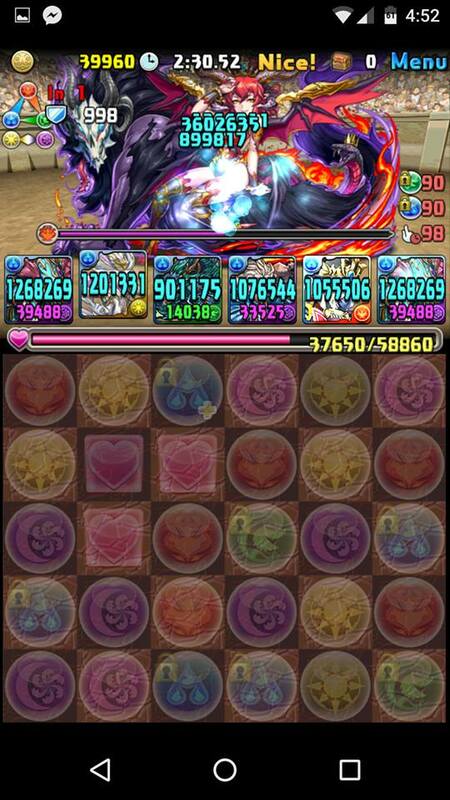 This allows for easy stalling and was vital for my strategy as I needed to recharge Orochi for the final boss. Even though my matching wasn’t flawless, I was still able to scrape out a victory and only had to do one attempt. I find that it is best to wait out the awakening bind on Linthia before using your delay as you can then have an uninterrupted 5 turns to kill her without having to deal with any execution mechanics. In addition, you should try to keep your heart orbs away from the outside columns as she has a high chance to remove them. I also cleared challenge 9 with the same team, but sadly forgot to record. What did you use to clear this series of challenge dungeons?